Islamabad [Pakistan], Jan 7 (ANI): At the order of the Supreme Court, the Pakistan Tehreek-e-Insaf (PTI) led government on Monday removed the names of PPP chairman Bilawal Bhutto and Sindh Chief Minister Murad Ali Shah from the Exit Control List (ECL), thus enabling them to fly abroad. Islamabad [Pakistan], Dec 24(ANI): Just a day ahead of his birthday, former Pakistan Prime Minister Nawaz Sharif on Monday was sent to jail for seven years by an accountability court here in a corruption case and his all assets was also frozen. Rawalpindi [Pakistan], Nov 5 (ANI): The Pakistan Tehreek-e-Insaf (PTI)-led Punjab government has renamed 'Shehbaz Sharif Park' here to 'Police Martyrs Park'. London [England], Oct 22 (ANI): Pakistan ambassador to the United States, Ali Jahangir Siddiqui, skipped appearing before a National Accountability Bureau (NAB) investigation team in Lahore on Friday. Islamabad [Pakistan], Oct 14 (ANI): Tehmina Durrani, the wife of former Punjab chief minister Shehbaz Sharif, has stated that she was "appalled" to see how her husband is being treated in custody of the National Accountability Bureau (NAB). 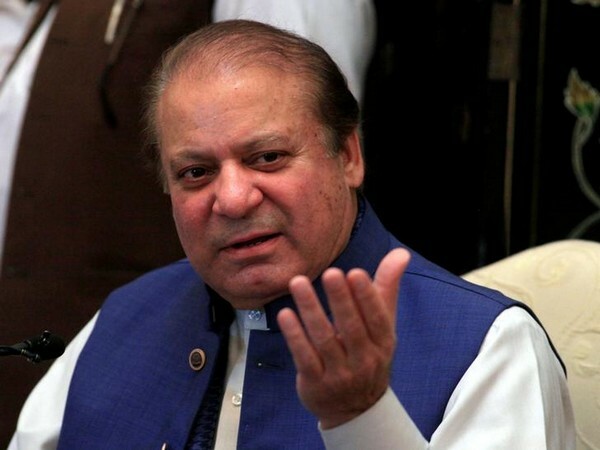 Lahore [Pakistan], Oct 07 (ANI): The Pakistan Muslim League - Nawaz (PML-N) on Saturday passed a resolution in the Punjab Assembly, condemning party president Shehbaz Sharif's arrest in connection with his alleged involvement in the Ashiana Iqbal Housing Scheme case. Lahore [Pakistan], Oct 06 (ANI): Protest broke out against the arrest of Shehbaz Sharif, as his angry supporters and party workers blocked the Shahadra Chowk in Lahore. Islamabad [Pakistan], Sep 04 (ANI): The Pakistan Supreme Court was on Monday informed that Pakistan nationals hold assets and properties worth over $150 billion in the United Arab Emirates (UAE). Islamabad [Pakistan], August 3 (ANI): Pakistan Tehreek-e-Insaf (PTI) chairman and Prime Minister-in-waiting Imran Khan was on Friday summoned by National Accountability Bureau (NAB) on August 7 in connection with alleged misuse of the Khyber Pakhtunkhwa (KP) government's helicopters. Islamabad [Pakistan], July 14 (ANI): Pakistan Tehreek-e-Insaf (PTI) chief Imran Khan on Friday stated that former prime Minister Nawaz Sharif should return Rs 300 billion which he plundered.